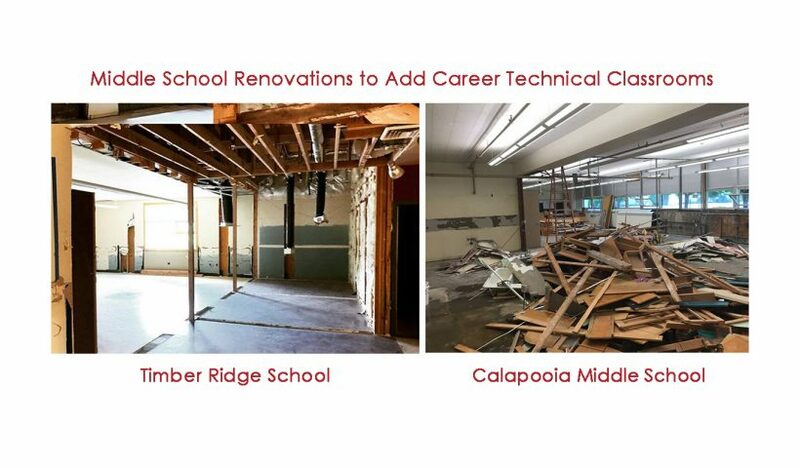 The voter-approved bond plan includes projects to add career technical education classrooms to all middle schools and high schools. Work has started at Calapooia Middle School and Timber Ridge School to convert existing classrooms into spaces that can be used for Career Technical Education, CTE, Programs. This construction will be finished by fall. The spaces are designed to support a variety of career-based curriculum. A work group has been meeting to determine the district’s goals for career education and help shape a plan for secondary students. Workgroup participants include local manufacturing employers. Read more about the CTE planning process and see the architectural drawings for each school.